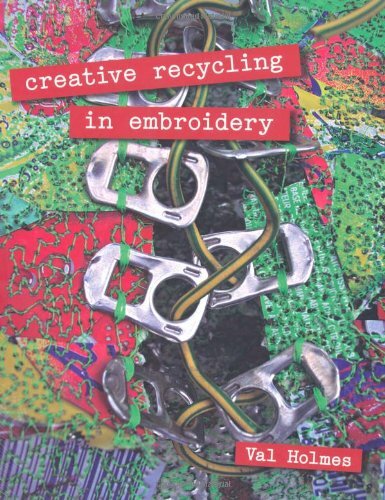 Recycling is a hot trend in embroidery, and this is the best book available on the subject. Covering both hand and machine stitching, it reconsiders embroidery by utilizing salvaged material-from fabric, paper, dried flowers, and tree bark, to metal waste, plastic, broken jewelry, and personal souvenirs. Along with the practical instruction, there's advice on how recycled items can add personal meaning to a piece of embroidery. Projects range from a cushion to a concertina book, and present innovative ways to use the latest miracle materials like Aquabond and fusible synthetic fibers. Creative recycling in embroidery takes crafting to a whole new level. Incorporating new techniques with traditional fibers while using recycled materials adds a new definition to the term "tactile art". This is a great book for gathering new ideas and exploring new techniques and taking your ideas to a whole new level! I love avant garde fiber work of all kinds, but was extremely disappointed with this book.There was nothing new here, and most of the projects were second rate.I'm glad I borrowed it from the library rather than buying it.Anything by Maggie Grey is much better. 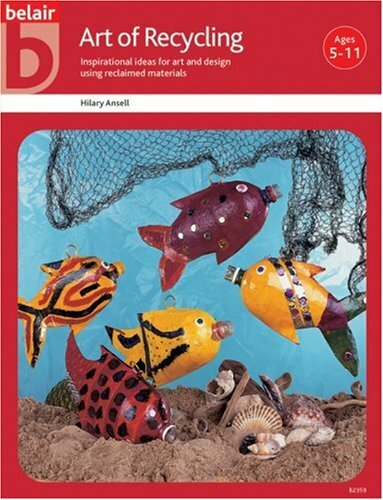 I am new to textile art, and I found this book to be incredibly inspiring and helpful.It is absolutely brimming with ideas and focuses more on execution and how-to's than it does a gallery or a showcase of the author's work, like other books I have seen on this topic.Clear instructions, complete supplies lists (along with a glossary in case you don't know what those supplies are or what purpose they serve).I loved it - it got me excited about textiles.I can't wait to try out these ideas, though I accept that trying all of them will take a very long time. I am a contemporary artist--painter and textile--and ordered the book on a whim. Much of the work is tiresome, mediocre and lacking anything new that has not already been done. The book has photos of the work with some explanations of construction and found objects used. The use of embroidery is very loosely used in connection to the works. Most of the embroidery was machine and the very little hand work that was done was simplistic and minimal. Another disappointment goes back to store. 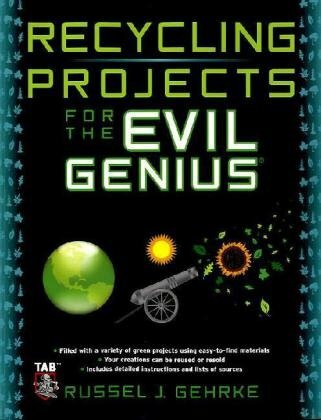 Here are projects for the “pages”: 40 innovative book-making ideas using recycled and green materials! More than just earth-friendly, they’re also beautiful, clever, and witty, stitched with traditional binding techniques. Egg cartons, wood, beer cans, and cassette tapes morph into covers, while brown bags, coffee filters, and discarded newspapers are transformed into pages. Create a boxed set of cereal box books, an exposed stitch sketchbook out of cardboard and remnants, and even a faux leather journal made from teabags. In addition to how-to drawings, close-up detail photographs, and simple stitch diagrams, a gallery of eco-books from an international roster of artists provides inspiration. 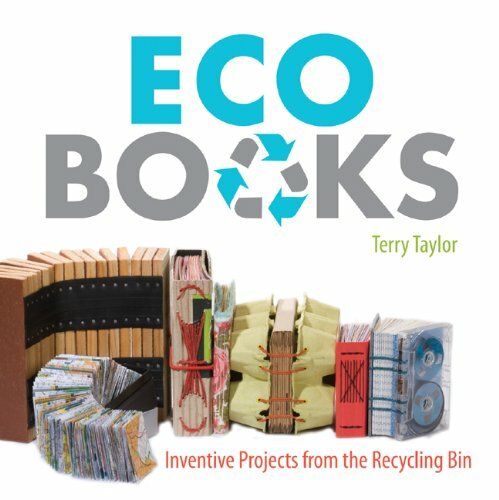 "Eco Books" is an interesting if occasionally quirky look at the idea of creating journals from recycled materials, showcasing the work and projects of numerous book artists. Taylor's introduction, "700 Pounds of Paper? 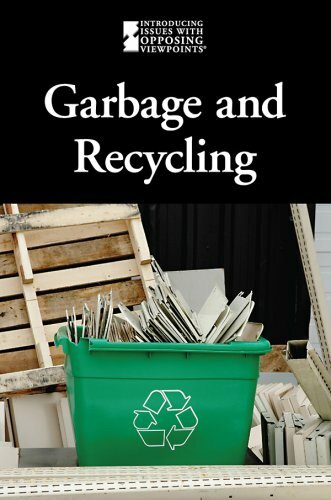 ", givesreaders a good dose of guilt in order to jumpstart these recycling projects and on this theme, scattered throughout the book are a few - too few, actually -- interesting vignettes regarding book and paper artists who recycle in their work. Regarding the projects themselves: they range in style from those lacking any type of aesthetic value save an environmental one (the egg carton book gets my vote in this category) to sublimely beautiful projects such as the Coffee Codex and the Branching Book. Additional projects I found very appealing were the Patchwork Portfolio, Jewel Case, and the Elemental Book. Reading through the book makes one realize that almost any item can be recycled into a form of art (ever hear of a cassette tape book?) and this concept is strengthened by the "gallery" shots scattered throughout the book, showcasing the impressive completed recycled-material projects of numerous book artists. The project instructions in some cases include helpful sketches and just as often don't, which is unfortunate, but Taylor does include an appendix of basic bookmaking techniques at the end, making many of these projects very doable for those with a bit of bookmaking skills under their belt. 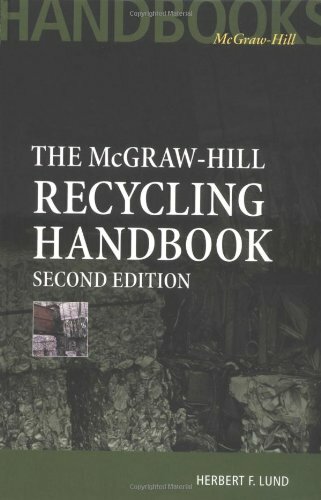 "Eco Books" may not save any landfills from paper overflow but its heart is in the right place and it's definitely a bit of fun. Peek into this diary of an aluminum can as it goes on a journey from inside a bauxite rock, to the manufacturing line, to the store shelf, to a display on a bookshelf, to a garbage can, and finally to a recycling plant where it emerges into its new life?as a baseball bat! I love that this is not just a fact-driven book, but an actual story of the process of creating an aluminum can. It a great "green" read for young children. 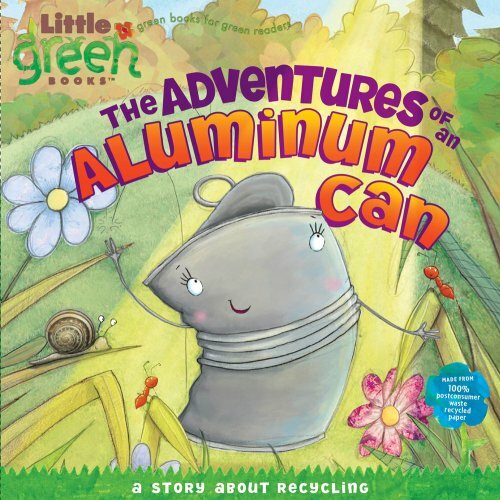 Here is a timely story about recycling told from the point of view of an aluminum can.I am all for engaging stories that help promote green thinking and encourage children to become aware of their carbon footprint.I think the artful use of perspective is a good eye-opener for children.This a great opportunity to combine literacy and ecology to practice skills and absorb an important message.Light, fun, entertaining, and educational. My 7 year really enjoys this book. The story is about a spec of alumina that gets turned into a can. It shows the process of digging it up all the way to refining and molding. Then onto the grocery store. Then it shows how, if you recycle, your can can turn into something totally different. It's a good book for children and they learn something too! Follow along the story of a speck of alumina that is mined, refined into aluminum oxide, processed into a sheet of aluminum, and then manufactured into an aluminum can.The can's adventure does not end here though, since its contents are eaten and the can is recycled.After an extensive cleaning and re-fabricating process, that speck of alumina becomes part of an aluminum baseball bat ready for use in the championship game. 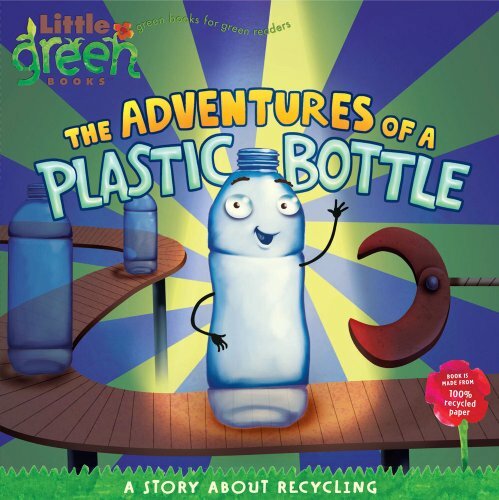 Straightforward text and amusing illustrations help to keep the attention spans of young readers as they learn about going green and the recycling process. 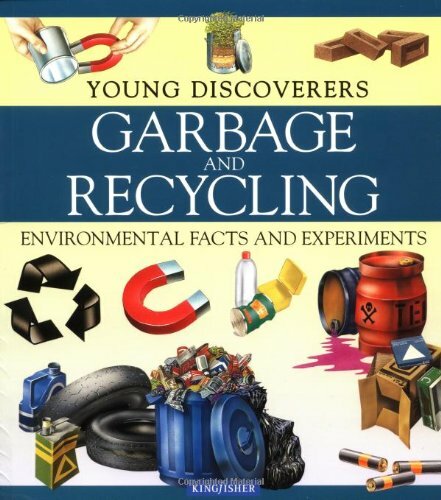 Parents and teachers can also introduce the concepts of natural and capital resources as they talk about what it takes to produce and recycle an aluminum can. In today's globally connected marketplace, a wedding sari in rural north India may become a woman's blouse or cushion cover in a Western boutique. 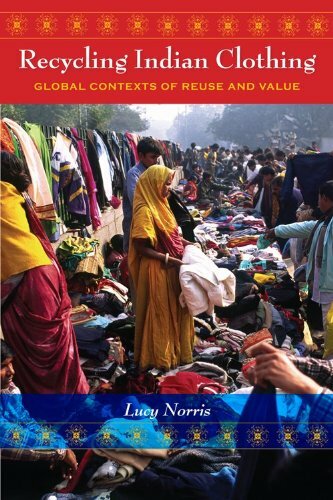 Lucy Norris's anthropological study of the recycling of clothes in Delhi follows garments as they are gifted, worn, handed on, discarded, recycled, and sold once more. Gifts of clothing are used to make and break relationships within middle-class households, but a growing surplus of unwanted clothing now contributes to a global glut of textile waste. When old clothing is, for instance, bartered for new kitchen utensils, it enters a vast waste commodity system in which it may be resold to the poor or remade into new textiles and exported. Norris traces these local and transnational flows through homes and markets as she tells the stories of the people who work in the largely hidden world of fabric recycling. 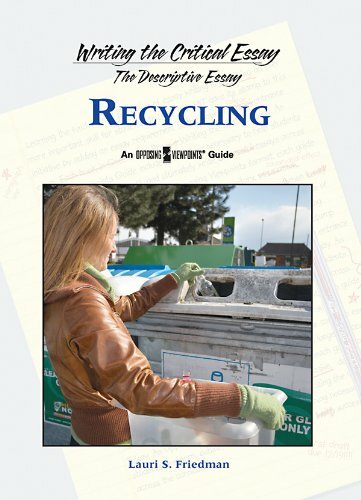 Max Goes to the Recycling Center is a Capstone Press publication. This board book is not exactly like those regular board books. The pages are thinner, to be exact, the pages feel like cardboard from your cereal box. And the books feel like pictures printed on cardboard. But I am glad that it is eco friendly and that it is printed with vegetable ink, I feel safe with my baby constantly wanting to chew on this when I am reading it to her. The flip open feature on in the book is really flimsy though, because it is so thin it rips easily. A great way to Green-up your children! When children ask, "Where does all the trash go?" our answers can be a little too complicated for them to understand. 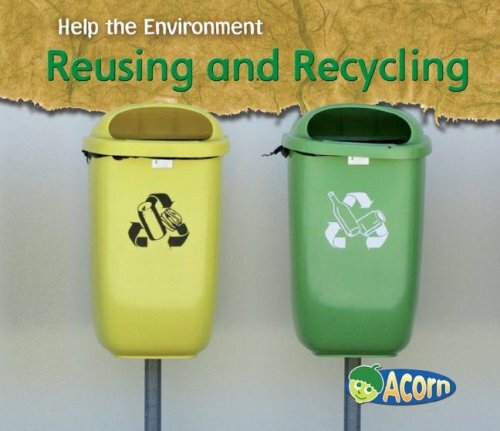 Start the year right by instilling green values with the three Rs: Recycle, Reuse, Reduce! 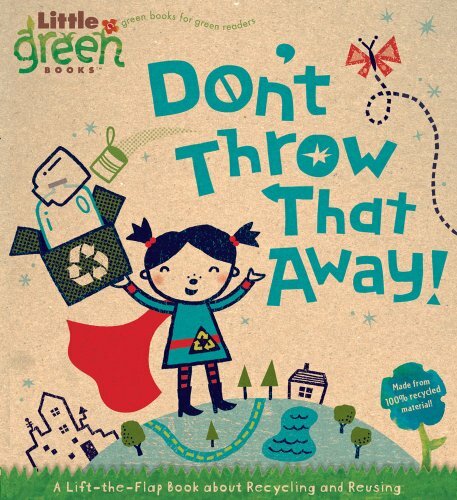 //Don't Throw That Away!// features a young heroine in a recycled superhero outfit paving the way to a better planet by teaching readers fun ways to go green. Children will enjoy the transformation of old, trashed objects when they lift up the flaps to reveal the new novelties that have been created, ultimately resulting in preserving Mother Nature. Reduce your carbon imprint by cleverly turning an old jar into a nice flower vase, a discarded milk container into a bird feeder, used cans into new instruments, and old clothes into new costumes. 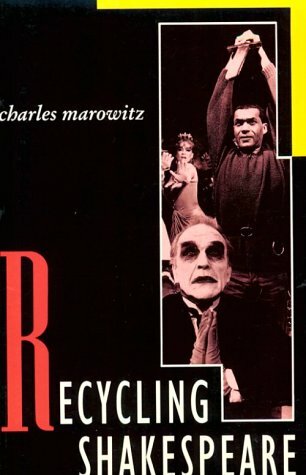 Recycling has never been this fun! 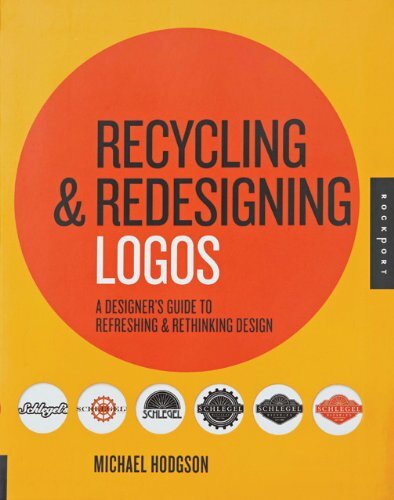 And even better... even the book itself is made from environmentally friendly recycled materials, proving the publisher's and author's commitment to this worthy cause. Recycling Construction & Demolition Waste provides the strategies and tools you need to develop and implement a successful jobsite waste management plan. 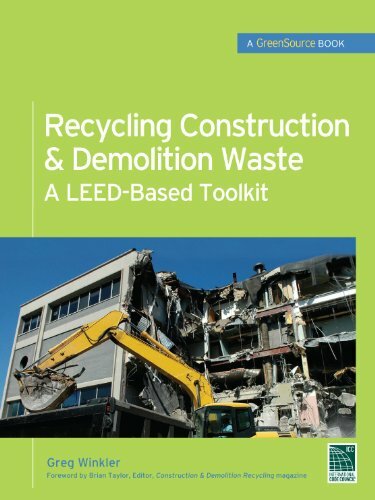 This practical resource also covers other programs that promote sustainable construction, such as the International Code Council's ICC-ES program, the National Association of Homebuilders (NAHB) Green Building Program, the Green Building Initiative Green Globes Program, BREEAM, and more. Trash! is a unique combination of fiction and fact. Based on the real-life experiences of street children in Chennai, it tells the story of Velu, a runaway village child. He ends up as a ragpicker in a big city and must face the harsh realities of life on the streets. 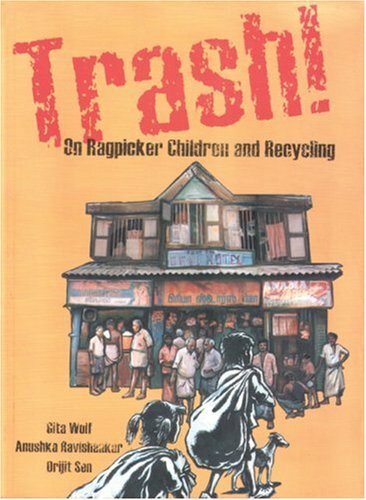 The story is accompanied by facts and arguments that connect complex issues—ranging from child labor and child rights, to lifestyles, waste and recycling.